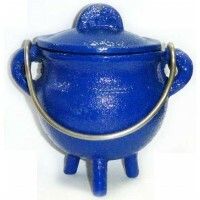 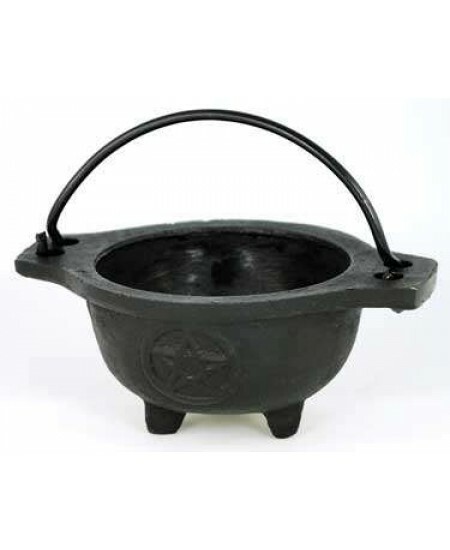 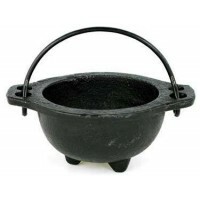 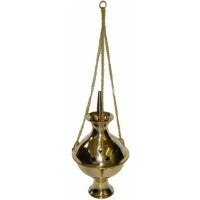 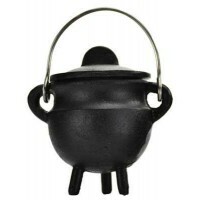 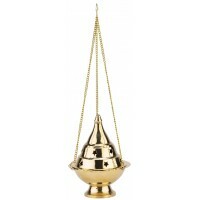 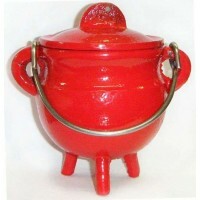 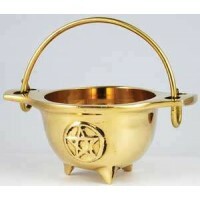 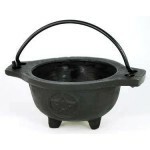 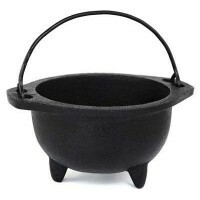 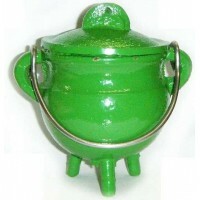 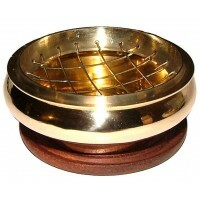 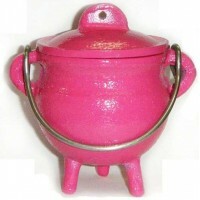 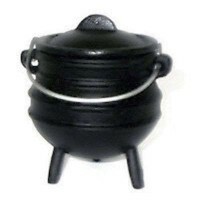 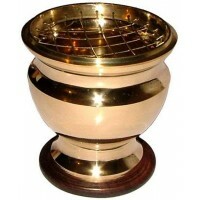 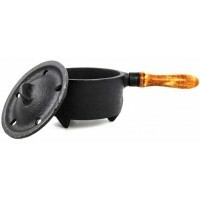 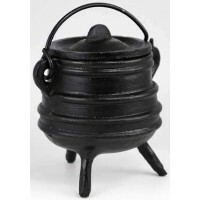 Mini 3 inch cauldron is cast iron with raised pentacle design and attached handle. This versatile little cast iron cauldron with handle and raised pentacle can be used for many things on your altar including salt, water, incense, and candles. 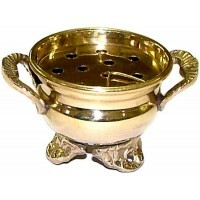 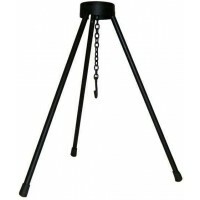 Measures 3.5 inches with a wide mouth great for smudging too. 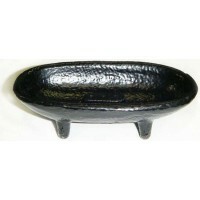 Item Number: AA-ICBR75P | Approximate Size (Inches): 3.50 wide x 3.50 deep x 2.00 high | Approximate Shipping Weight: 1.50 lbs.